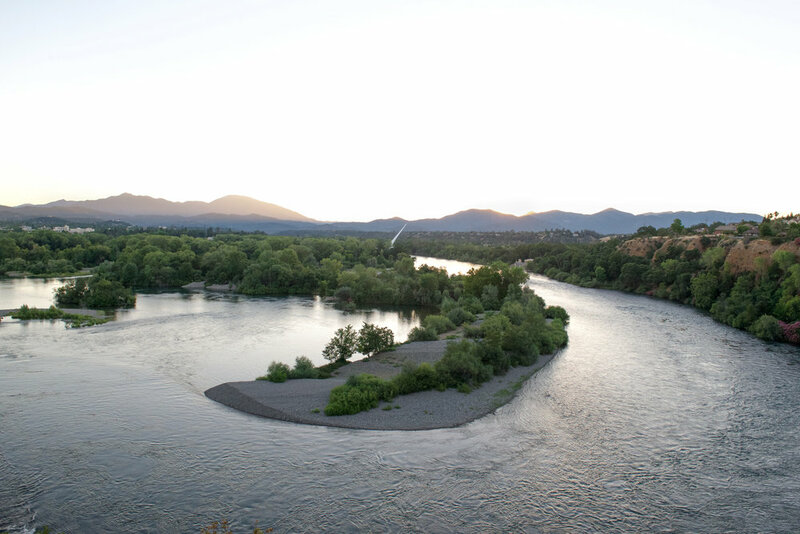 California’s sunniest city, Redding is surrounded 270 degrees by mountains. It lies at the northern most tip of the Sacramento Valley. Known as a launchpad to the outdoors, this up and coming town offers world-class access to some of the country’s best outdoor sports. This town will surprise you with its character, and magnificent views. If you are anything like me, coffee is one of the first things you need after rolling out of bed. Fortunately there are several delicious, local roasters and coffee shops in this vibrant town. Theory Collaborative is a hopping place that serves high-end coffee and craft breakfast options. It is already a little warm outside, too warm for hot coffee so I ask the barista for an iced coffee and breakfast sandwich. Sunny side egg on ciabatta roll with a lemon-garlic aioli, local micro greens, and Canadian bacon. Caffeinated and feeling good, I head out to see Redding’s main attraction, the world-famous Sundial Bridge. Designed by renown Spanish architect Santiago Calatrava, the bridge crosses the might Sacramento River connecting the Sacramento River Trail. Standing on the bridge looking down at the water you can see fish feeding on whatever bug hatch is going off. There are a lot of people walking their dogs and letting them swim in the river. It is safe to say that the bridge is the cultural hub of the city. Walking across the bridge I count three different languages being spoken. People from all over come here to experience the structural wonder of one of the world’s largest working sundials. Turtle Bay Exploration Park, located right by the bridge, has an animal show at noon. 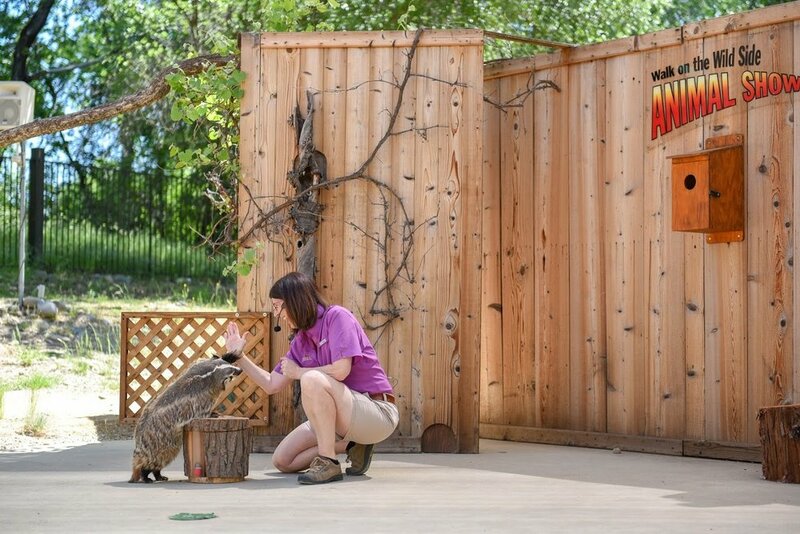 The show features animals one might find in the area including: foxes, bobcats, raccoons, badgers, skunks, magpies, and many others. I have some time to spend before lunch so why not? A half hour and many incredible animal tricks later, it was over and time for me to start thinking about food. I overheard some people talking about a place called Wilda’s while we were waiting for the show to start. It sounds enticing. Upon getting to their downtown location, I can see what all the talk was about. It is a fast-casual restaurant with a very happy atmosphere. Seems like all the sun the locals get affects their mood; everyone is always smiling. The young lady taking my order recommends the Buddha bowl with falafel as it is their signature dish consisting of your choice of protein, rice, beans, cabbage, avocado, cilantro, and jalapeños topped with a garlic chili sauce and Asian dressing. I fill a water cup to rehydrate and find a place to sit. A few moments later the bowl shows up and it is everything I was hoping it would be. Revived from lunch, I rent an inflatable stand up paddle board from Headwater Adventure Company and head west to paddle Whiskeytown Lake. There are several lovely beaches one can access with a park pass. East Beach is close to the entrance and beautiful. Pulling the paddle board out of the back of the car, I set it up, and jump in the water. The sun gets pretty hot around this time of day, so paddling for about 20 mins and then jumping in for a swim is a best practice. The lake has a unique shoreline to explore and I burn a couple hours checking it out. Being out on the beautiful lake on a hot summer day has a way of just making you feel good and the temperature of the water is ideal. Refreshing but not cold. Afternoon is starting to shift to evening, and it is time to head back to town. On the way back to Redding there is an old, historic mining town where the remains of one of the busiest cities during the gold rush still stand. Shasta State Historic Park is the name of the old ghost town and is an intriguing stop worth making. 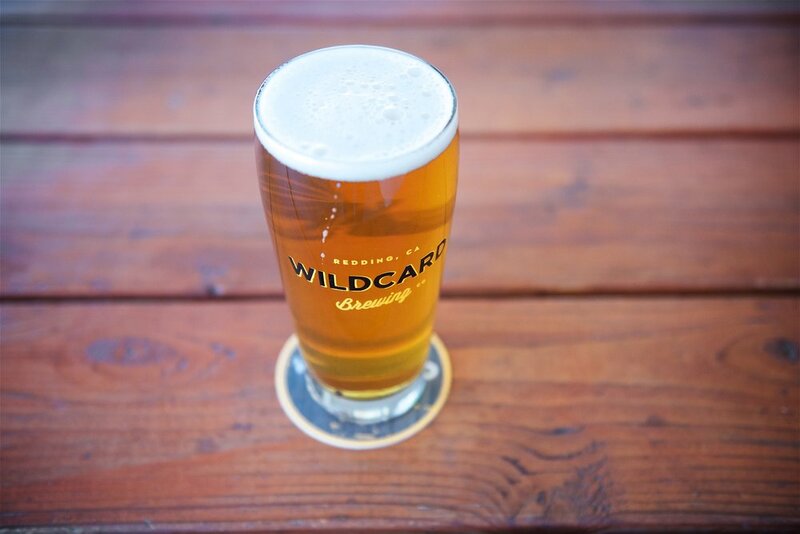 Back in Redding, I drop of the paddle board rental and make my way to Wildcard Brewing Company for a drink. 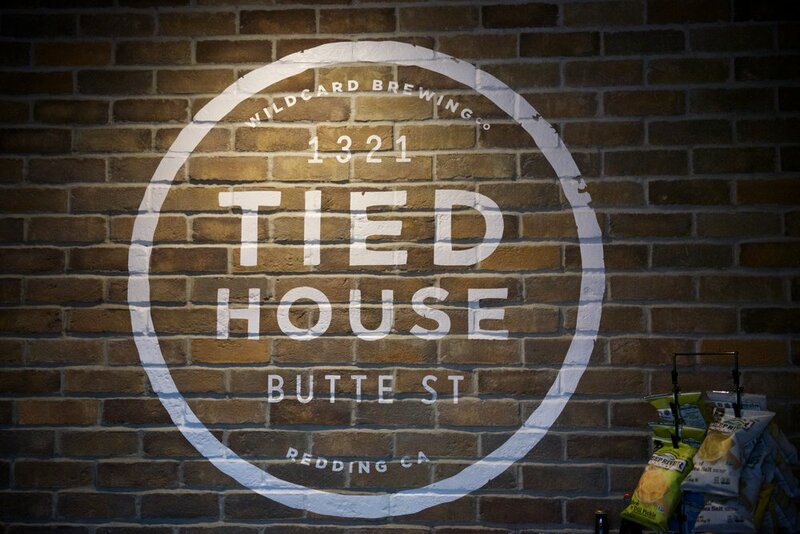 Right off the main drag of downtown, it has a great atmosphere and even better beer. The place is full of outdoor enthusiasts talking about their experiences. There is a group of fly fishermen and women sitting at one of the tables laughing over some of the funny things that happened on the river that day. A Tacoma pulling a drift boat is parked out front and I can only assume it is theirs. Hearing their stories is getting me excited for my guide day on the famous McCloud River tomorrow morning with Greg and Kris Kennedy. 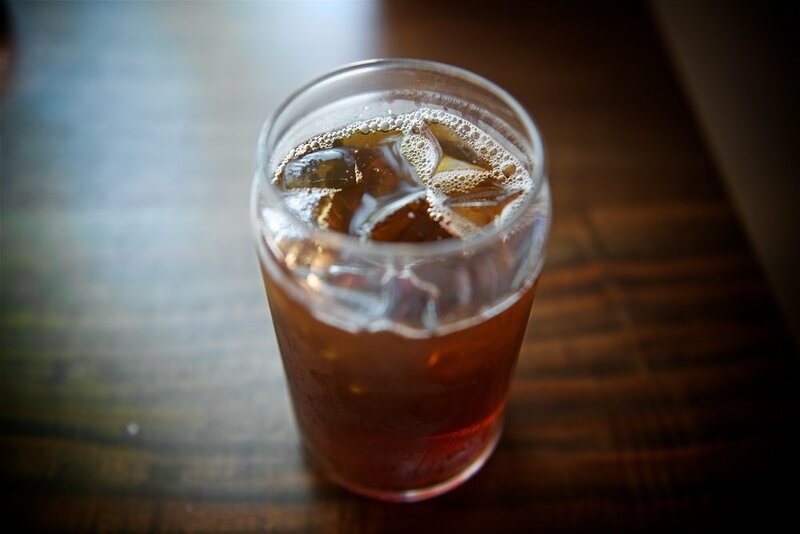 The bartender is very friendly and he starts sharing some of his favorite and places to eat in Redding. One restaurant he describes strikes a cord with my current craving. It is in walking distance too which is a perk since I just polished off my second west coast IPA. Bidding Wildcard goodbye I walk over to From the Hearth for dinner. 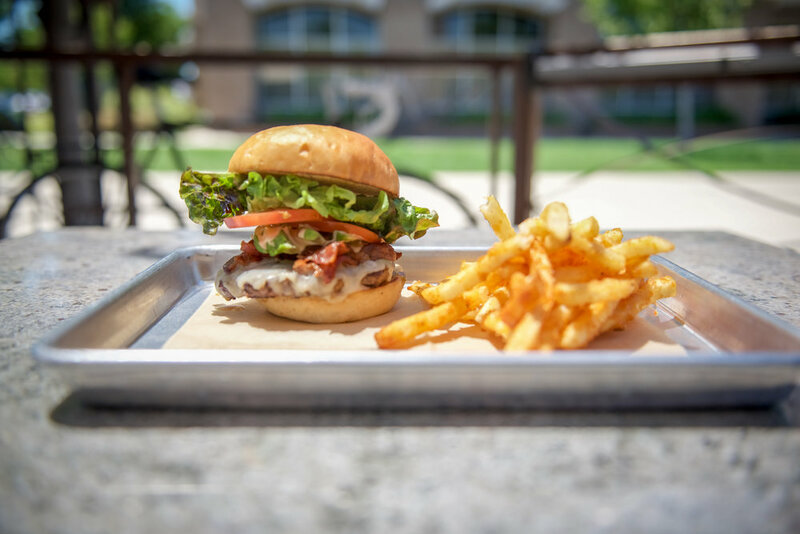 The Cali Burger with a side of fries sounds amazing. They have a beautiful outdoor patio with some seats available. I grab one and I relax in the sun as I wait for the food to show. To say the meal was incredible would be an understatement, and the fries were honestly some of the best I have ever had in my life. A perfect way to end Day 1. Alarm going off at the crack of dawn means one thing, it is time to fish. I splash some cold water on my face and head out the door. The Kennedy brothers are known for fishing off the beaten path locations where other guides might not venture. While they are very knowledgeable and successful when it comes to the local fishery, they make the experience more about adventure and not just about catching fish. We meet in the town of McCloud and I hop in their truck. Tales of recent fishing experiences start to fill the car and I am starting to get really amped for the day ahead of us. The dry fly action has been exceptional in the last few weeks. Nymphs and streamers have been producing as well. We get to the river, park the car, and gear up. The photos of the McCloud don’t do it justice. It is so much prettier than I thought it would be. This exceptional fishery has been made famous by its healthy rainbows that were planted in other streams across the country upon a time. We walk a trail up the river in low light to get to our first spot. Greg ties some special fly on and tells me where to cast. I wish I could tell you their secret holes and exactly which flies we’re using, but I can’t. I don’t know how to get here or could even begin to describe the flies. If you want to know you will have to go fish with them and see for yourself. The day flows on rapidly and the last few hours were full of fish, hiking, and extraordinary stretches of water. These wild rainbows put on a show and fish after fish fall victim to the “secret flies.” As evening approaches it is time to head back to the truck. We say our goodbyes in the town of McCloud and I thank them for a wonderful adventure. Back on I5 South, I want to make a pit stop before getting back to Redding. 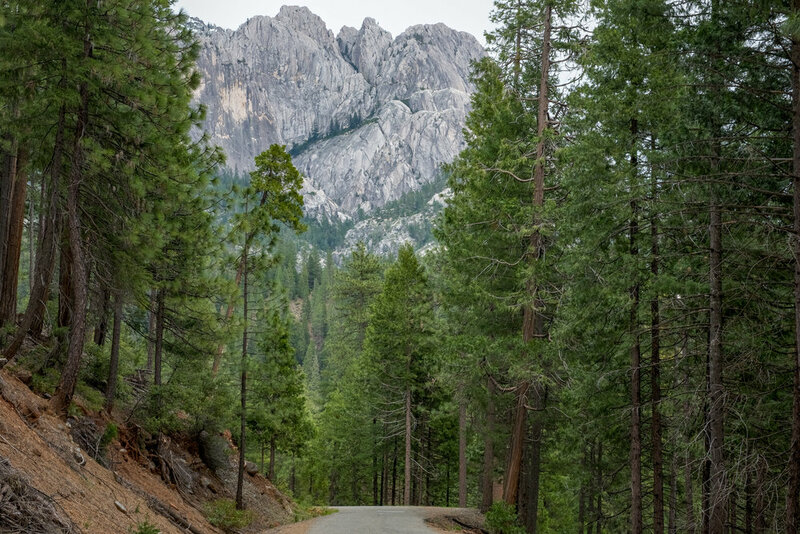 Just beyond the town of Dunsmuir, Castle Crags State Park breaks the skyline with jagged spires. The park is a fantastic place to visit and there are a ton of hiking trials all around it. My feet are a little tired from my previous adventure, so I opt to not to do much climbing. There are several spots you can drive a car right up to to get magnificent views of the crags. A handful of miles up Castle Creek Rd, there is a place that looks out over the crags from the adjacent mountain. I pull the car over, get out the camera and take a few photos. It is a glorious site to see. At the bottom of the road, there is a gas station called Ammirati’s that sells a local, hard to find, beer called Castle Crags Ale. Obviously I have to buy one to commemorate my visit. I find the nearest public access to the Sacramento River, grab the beer, and jump in. It is still pretty hot outside. The cold ale and the cool creek are invigorating. The Upper Sac, as it is referred to, is a spectacular waterway that cuts its way through the mountains to the valley. As I sit in the stream admiring the views, my stomach begins to remind me that dinner time is approaching. Fortunately, I was smart enough to throw a change of clothes in the car before leaving the hotel this morning because there is a great place to eat in Dunsmuir. The Kennedy brothers tipped me off to a place called Dunsmuir Brewery Works. They said their beer and food are hard to beat. A quick 5 minute drive and I’m there. The town is quant and welcoming. The brewery has a fantastic outdoor patio that overlooks the street. The hostess seats me at an open table. The beer list includes a west coast IPA called Blood Sweat & Tears which I order, along with their beer-cheese appetizer and Memphis Style Pulled Pork with a side of Warm House Potato Salad. Let’s do this! As soon as the appetizer arrives, I dig in as if it’s the first food I’ve seen in weeks. The in-house made beer-cheese paired with the delicious pint is unreal. It is hard to tell whether it is the best thing I have ever had, or if I am just starving to the point that anything decent hits the spot. Either way that appetizer will go down in my memory as incomparable. Back in the car on I5 South to Redding, the sun is getting low and the colors are lighting up the sky. Time to sit back, relax, and enjoy the downhill ride to town. Morning felt like it came early after coming out of such a deep sleep set on by yesterday’s activities. Coffee and breakfast are at the top of my list. Mimi Grace Cafe is a newer coffee and breakfast shop that has been gaining a lot of well-deserved attention. It is a clean and lively place that serves a simple menu done right. I order a cup of coffee and avocado toast with egg. Just what I need to get the day moving. As I nurse the last of my coffee I hear the couple at the table next to me start talking about a “Pedego.” What in the world is that? I pulling out my handy-dandy smart phone to Google it. They are specialty electric bikes. A minute later, I locate a place in Redding that rents them for the day. That could be fun. The rental store is only a few minutes away. Chugging the last two gulps of my coffee for a little extra momentum, I grab my things and head out the door. Thanks Mimi! A half hour after breakfast, I find my self on a Pedego riding on the Sacramento River Trail up to Shasta Dam. It is a little over 15 miles to the dam, and I was able to access the trail from the shop which was very convenient. The trail is well taken care of and a joy to ride. 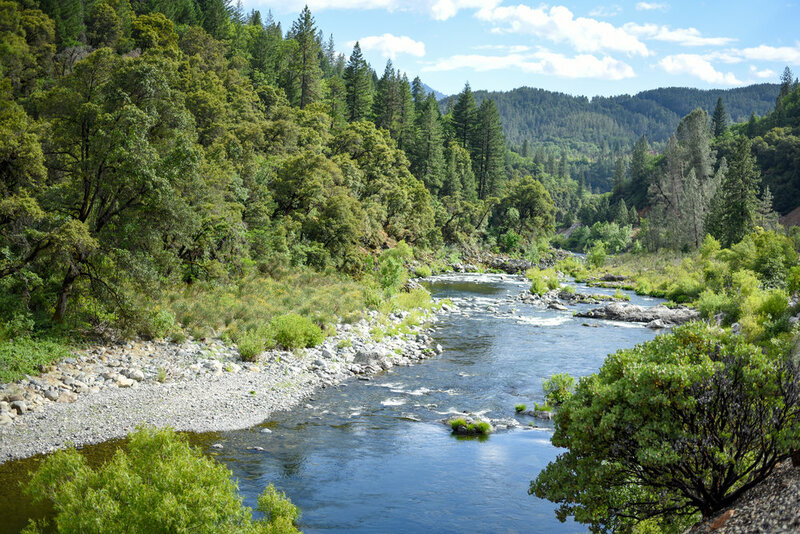 As the name suggests, the trail follows the Sacramento River offering some unbelievable scenery. It is a pleasant ride and the other bikers I pass are all very friendly. Must be all the sun they get. Reaching the dam, I decide to take a moment and observe this mighty man-made wonder and get out of the Pedego saddle for a bit. I snap a few photos, and walk around, before getting back on the horse. These electric bikes are really enjoyable. They provide enough of an exercise to justify whatever I am going to eat later, while being much easier than a traditional bike. Noon is getting close, so I head back in to town. A charming hour or so later and I’m thanking the guy at the shop for the wonderful experience and trail suggestion. I ask the gentleman for one more favor.. “are there any good taco shops around?” “La Cocina de Chuy! Be sure to get the homemade tacos” he responds. It is just down the street, on the way to Whiskeytown. It is a really authentic restaurant and the smells coming out of the kitchen are making my mouth water. The staff is extremely friendly and greet me as soon as I walked through the door. I order 3 homemade tacos to-go as I decided to take them up to the lake and have lunch there. After the morning ride I could use a swim. Back at Whiskeytown Lake, I pull the car over at a random pull off just off of highway 299 and walk down to the shoreline. One of the things I always make sure I pack when traveling is a lightweight hammock. They come in handy more than you might think. I set it up on some fallen trees and dive into the tacos, washing them down with a cold beer. The gentleman at the rental shop was right again, great tacos. The food digesting begins to invite a nap, and before I know it I’m staring at the back of my eyelids. A boat going by brings me back to life and judging by the sun I must have been asleep for an hour. I jump in the water to wake up. It feels marvelous, and I pass another hour or two swimming and walking the beach. On the east side of town, there is a juice bar called Roots. Still feeling a little tired from the last couple days it seems like a smart idea to replenish my vitamin supply. I order a ginger shot and “Green Machine” to get things going. You can almost feel the effect of the nutrients going into your body immediately. It feels good to feel good. There is an awesome climbing gym on the west side of town called Shasta Rock Club. They change the routes every month so there is always something new to climb and work on. The ginger shot starts kicking in as I pull up to the gym. 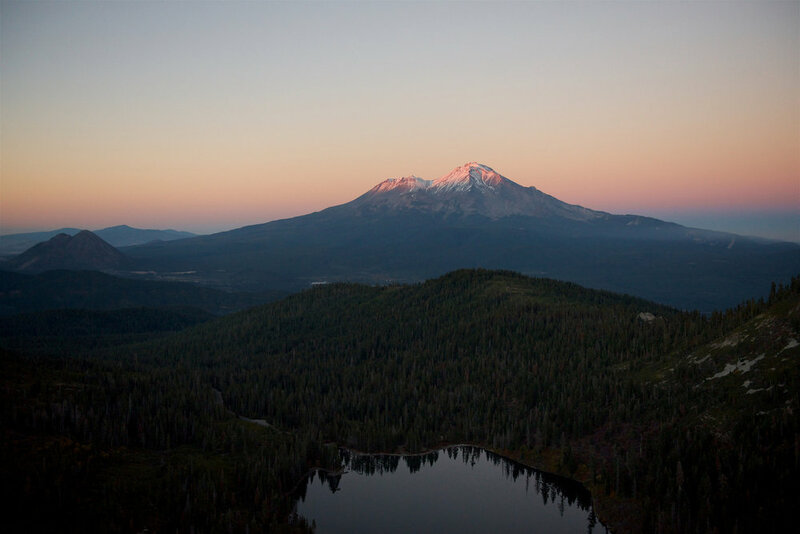 The climbing community is on the rise in the Redding, and there are several awe-inspiring, outdoor spots people can go climb. I have some climbing experience so a basic tour of the gym and routes and I’m making first ascents. It feels great to be chalking up the hands again, and this place is very nice. Clean and new. The routes are challenging but doable. Benjamin Goodpasture, owner, is there providing helpful tips and encouraging those climbing. The sun is staring to get a little low in the sky. Hoping to catch one more Redding sunset, I head to a place the locals call the “Bluffs.” Up on a ridge, it overlooks the Sacramento River and the downtown area. The sun starts going behind some of the mountains, casting rays of light across the valley bellow. It only gets more and more beautiful as it progresses, receding below the horizon. I reflect on the last few days and all the experiences I’ve had, the wonderful people I’ve encountered, and the breathtaking views I beheld. Redding, you have took me by surprise. Thanks for a perfect three days.